I’m not sure how long Red Heart Shimmer has been around, but I was introduced to it by one of my pattern testers, Gigi Lee. She used this yarn to make my beads and lace hat. You can view her copy of it in her Ravelry account. Gigi, Thank you for posting it! And just between you and me, her hat looks a lot nicer than mine. I used Caron Simply Soft and an unknown cotton/polyester blend for my hats. For some reason, they didn’t work as well as the Red Heart Shimmer. Anyhow, when Gigi mentioned the yarn I had to go see if I could find it, especially if I was going to include it as one of the yarns that worked for the hat. The yarn is a super soft and somewhat fuzzy yarn. It’s really nice to work with and perfect for hats and scarves, wraps and clothing items. 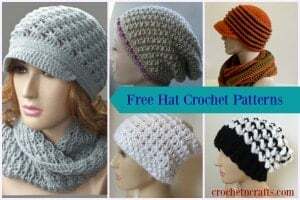 So far I have used this yarn to crochet this hat and cowl. I also crocheted a ribbed handbag with this yarn. This bag will need to be lined in order to increase the strength of it as the shimmer yarn does not seem very strong to me. It’s very beautiful though, so it definitely has it’s up side. 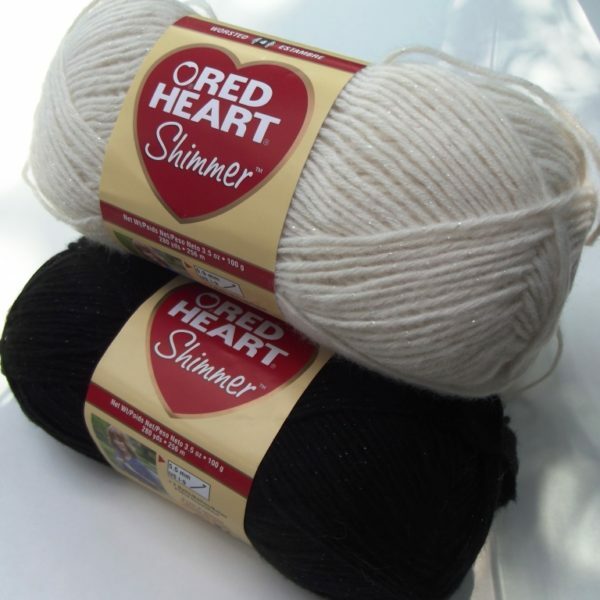 It is a medium weight category 4 yarn, but on the thinner side. So always do a gauge check before using this as a substitute. The yarn is available in many bright and vibrant colors. The only problem is that my Michaels store only carries a few of those, so will have to shop online if I want to make something with some of the other colors. Of those that I like, Michaels only carries the black and Ivory. The others that I like are the Zebra, Purple Haze, and Cherry Jubilee, with the Zebra being more my style along with the black and ivory. I have not seen Red Heart Shimmer at Walmart, but Michaels usually has it in stock.